I have wanted to shoot this photo for a while now. This little public park is at one of the train stations downtown. One day when I got off the train at this stop I was checking out these iron art pieces. The idea for this photo came to me soon after that visit. The reason it took me so long to get this shot is it was quite the production and a bit of hassle to get. I had to pack up my camera with a few different lenses (incase 50mm didn’t look right), flashes, flash triggers, 2 light stands and a tripod. As you can image, walking around with this much gear isn’t exactly a good time haha. Anyhow, I’m glad I finally got the shot, because it is exactly how I pictured it in my mind. The set up for this shot was 2 Canon 580EX ii’s behind the horse. I set the flashes 2 stops over and shot the photo about 2 stops under. 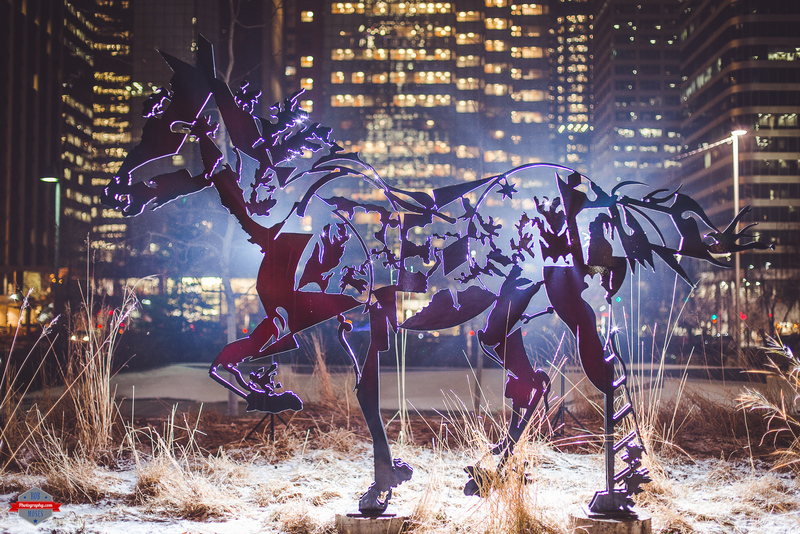 This entry was posted in Cities, Random and tagged 50mm, 580EX, 580exii, 6D, Alberta, amazing, Art, beautiful, blur, Bokeh, building, buildings, Calgary, Canada, Canon, city, City Life, clouds, condos, downtown, evening, flash, grass, horse, iron, light, lighting, night, off camera, Park, photo, Photographer, Photography, pretty, prime, public art, River, Sculpture, sky, skyscrapers, Snow, street, tower, Urban, winter, yyc. Bookmark the permalink. This is fabulous. In which city is it? I’ve ever see it before. But there is something similar in the UK – a statue of a man. Oh is that right? Cool :). This is in Calgary, Canada. Thank you about the picture. Thank you very much Diana! 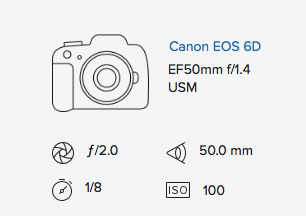 Shot” with all your gear! Thank you very much! I’m glad you enjoy the picture :). Nice and definitely worth the effort. Isn’t it fun to work on idea we have conceptualized for a while. You could have waited until your son was a bit older and could have acted as your personal Sherpa, but that may have been a while. Cheers! Haha true that! And yes, it is fun to see an idea through 🙂 Thanks for you nice comment! Wow!!! This is FANTASTIC, Rob! Thank you very much Karen 😀.